Short-term interest rate futures (STIR futures) are one of the largest and most liquid financial markets in the world. The two main exchange-traded contracts, the Eurodollar and Euribor, regularly trade in excess of one trillion notional dollars and euros of US and European interest rates each day. STIR futures have some very unique characteristics, not found in most other financial products. Their structure makes them very suitable for spread and strategy trading and relative value trading against other instruments such as bonds and swaps. 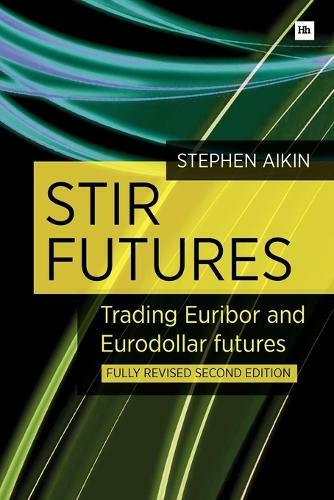 "STIR Futures" is a handbook for the STIR futures market. It clearly explains what they are, how they can be traded, and where the profit opportunities are. The book has been written for both aspiring and experienced traders looking for a trading niche in a computerised marketplace, where all participants trade on equal terms and prices.This fully revised and updated second edition now includes: details on the effects of the financial crisis on STIR futures pricing and trading; an in-depth analysis of valuation issues, especially the effects of term and currency basis when relatively traded to other financial products; a new section on using STIR futures to hedge borrowing liabilities; an in-depth analysis of relative value trades against bond and swap derivatives; and trading synthetic FX swaps using STIR futures. Plus updated case studies and examples throughout and an even better explanation of the basics. This book offers a unique look at a significant but often overlooked financial instrument. By focusing exclusively on this market, the author provides a comprehensive guide to trading STIR futures. He covers key points such as how STIR futures are priced, the need to understand what is driving the markets and causing the price action, and provides in-depth detail and trading examples of the intra-contract spread and strategy markets and cross-market relative value trading opportunities. An essential read for anyone involved in this market.